I got my favorite pair of white denim pants back in 2012. It was my first time owning Level 99 jeans and I have been hooked ever since. Thank you to Carly of Thirty Something Fashion! These beauties were included in my first time using her box service (which I recently did again! More to come on that next week!!). I feel like there are two kinds of people when it comes to wearing white. Ones that do NOT wear white after Labor Day and feel very strongly about that rule, and those who wear it year round. I fall into the latter group. 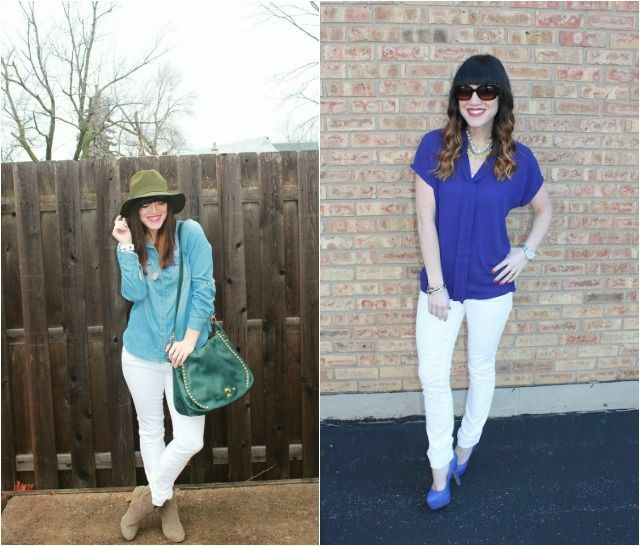 When going back through my photos I realized I have been slacking on wearing my white skinny jeans in 2014. I do plan to correct this in the coming months. After wearing them this past time I realized I wanted to have them altered, so I did! 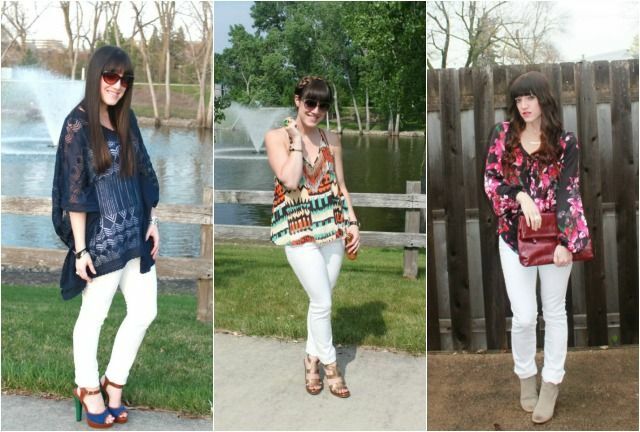 I don't plan to get rid of my favorite white jeans, so why not have them shortened to fit my body perfectly?! 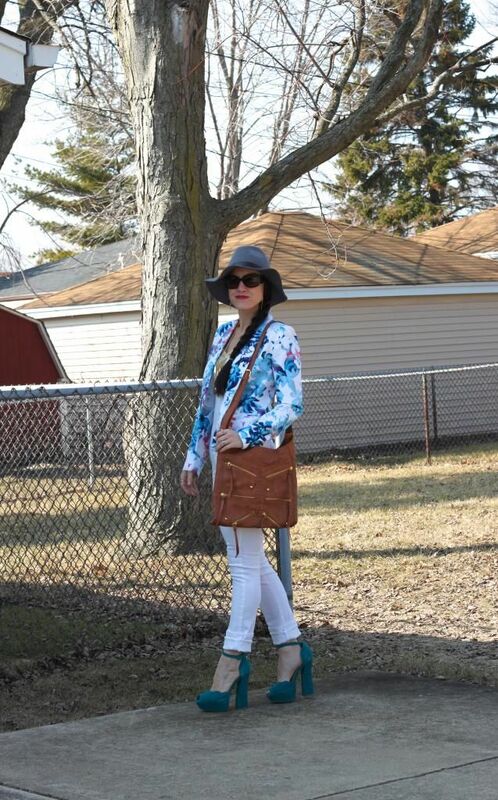 How do you style your white denim? 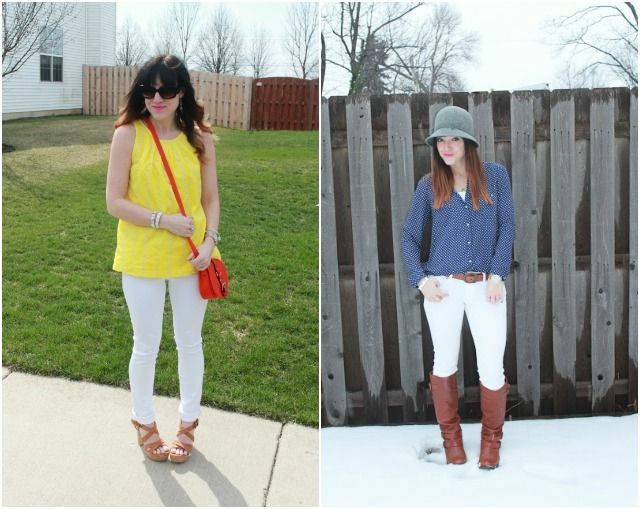 Do you wear white year round or do you stick to the old school "fashion rules"?